That’s the question.. it sometimes, for unknown reasons, does not allow me to use my usual “Right-click project > Publish” option. But of course the Project menu in the top menu bar works perfectly fine.. Problem: Publish option greyed out. Double clicking any file in the project. P.S. 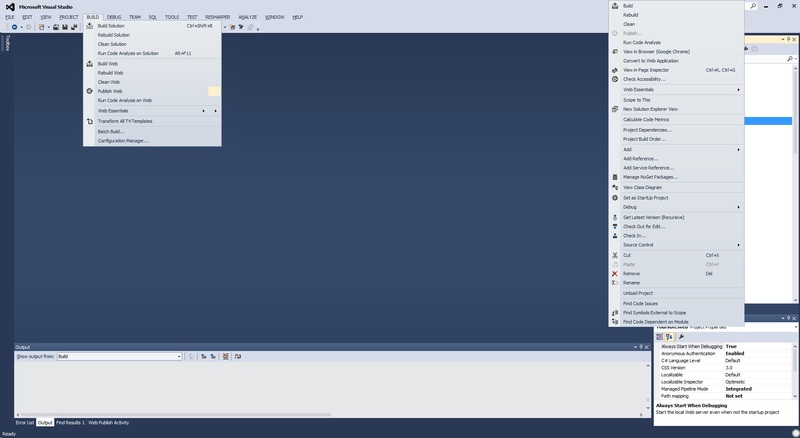 Another funny thing is.. try making a screenshot of context menu in Visual Studio, haha..
Next Next post: Is softwareupdate.vmware.com serving malware?